The Long Form Library is a remarkable piece of furniture that you can buy from Etsy seller ifsodoso for whooping $9,500. 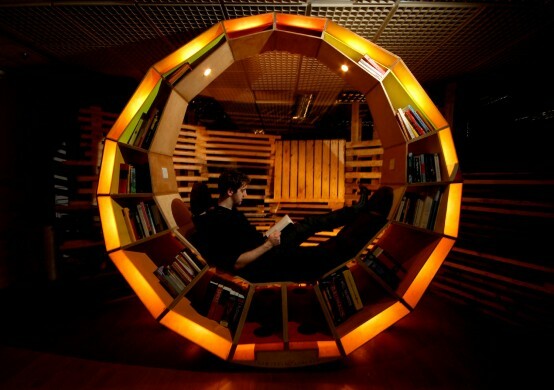 It is create the perfect environment for reading and storing books. Thanks to that you won’t even need a home library with such thing at your home. The Long Form Library is built from 15 modular boxes and can hold up to 400 books of varying shapes and sizes or several hundreds of CDs and DVDs. Assembly takes around two hours including the integrated electrics. Only 4 wire junctions and 4 internal plugs are required. The piece stands at 246cm.